In the fall, we get a little acorn obsessed. 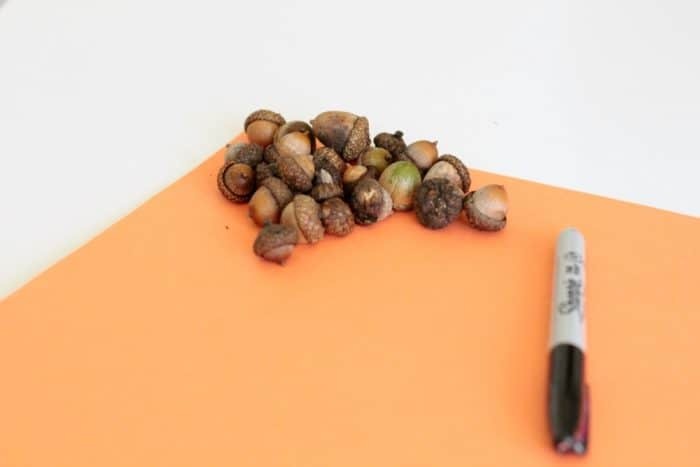 One day, my kids gathered a whole bunch of acorns from an oak tree in our yard. We washed them off and dried them, but the kids were a little stumped on what to do with them. I thought for a few minutes about what we could try, then I realized they would be the perfect manipulative for a letter match. My preschooler is currently learning her letters, but she doesn’t yet know that uppercase and lowercase letters can be the same letter. 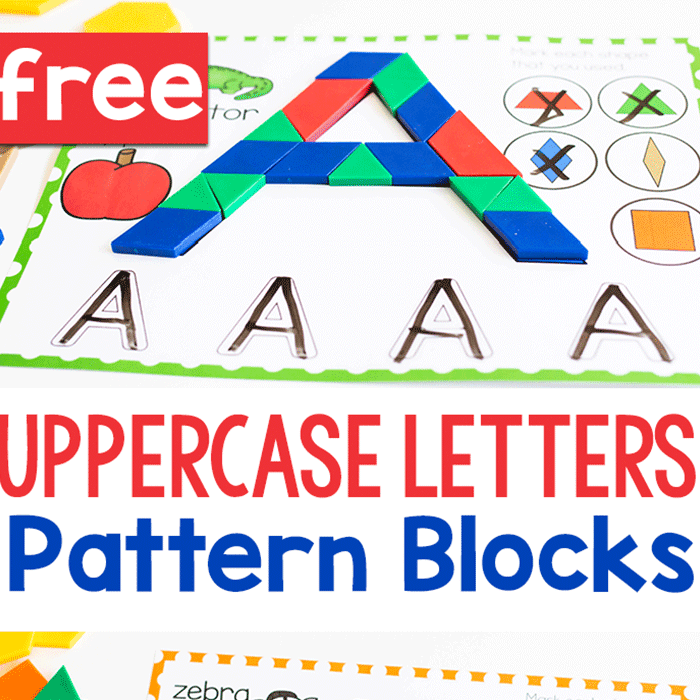 This activity helped her realize that each letter has a big and little version. 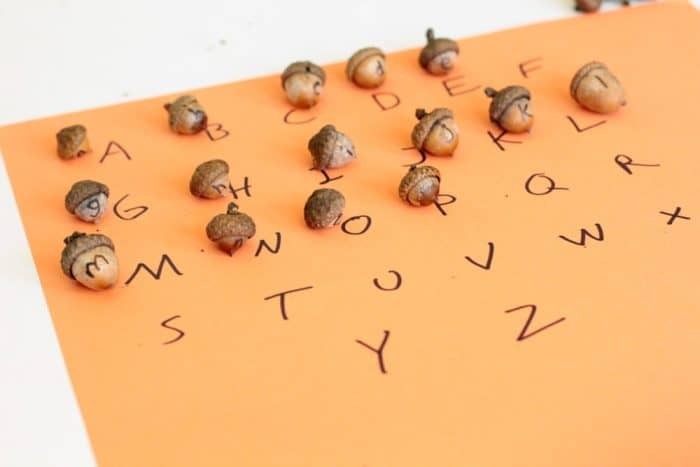 Kids learning their letters will love this hands-on approach to number recognition in the fall season. 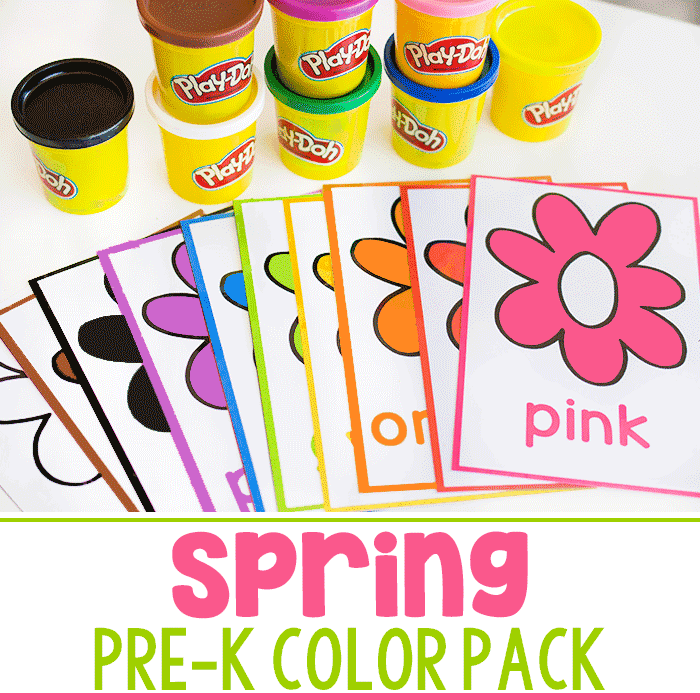 You probably already have almost everything you need for this activity! 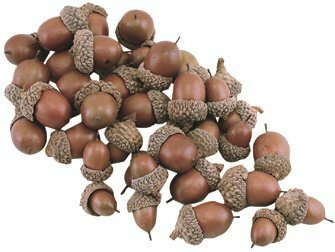 If you don’t have access to real acorns, purchase fake ones online or from a local craft store. 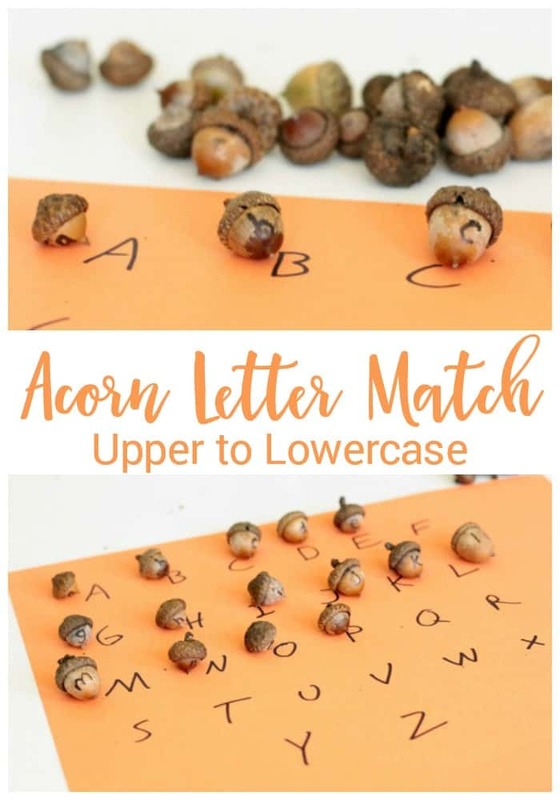 You could also go on a walk to a local park and have an acorn hunt! Go outside and gather acorns from under an oak tree. 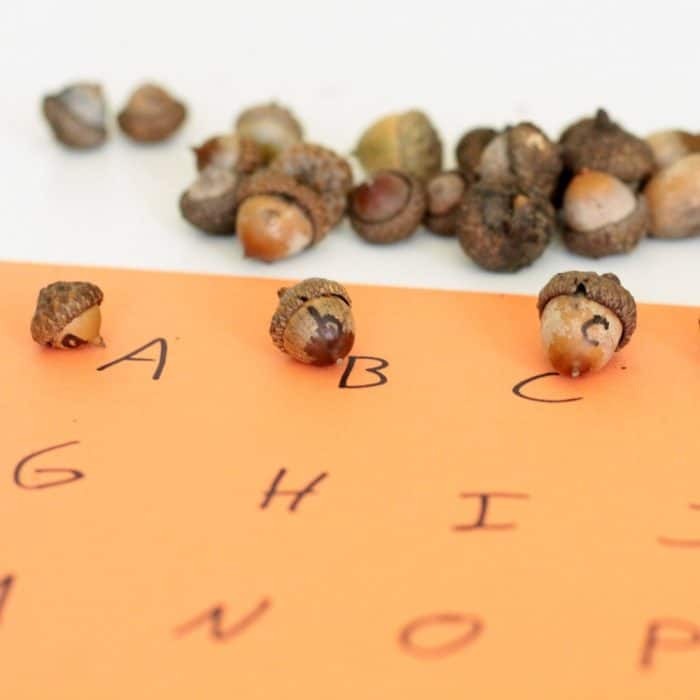 Most oak trees start dropping acorns in August, so there should be plenty to choose from in the fall (that is if the squirrels haven’t gathered them first). 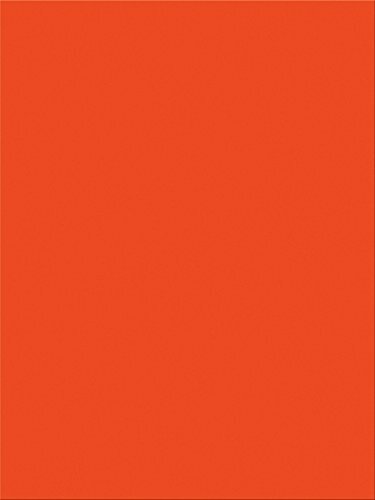 You’ll need 26 for this activity, one for each letter in the alphabet. Wash any dirt off your acorns and dry them. Use a marker to write A-Z in capital letters onto your paper. 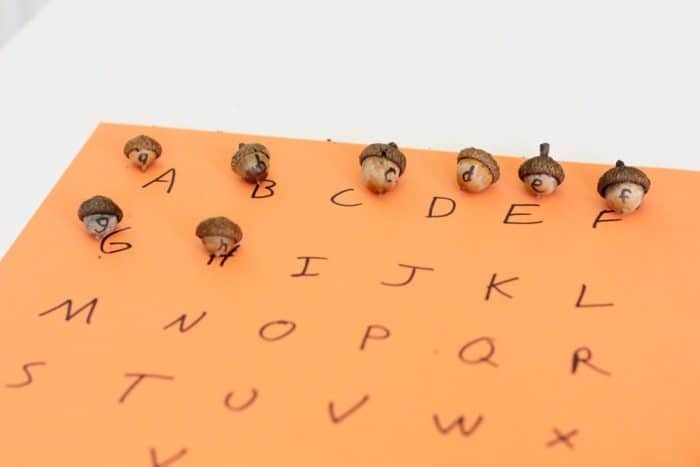 Write a-z in lowercase letters on each individual acorn. Give the acorns to your child. 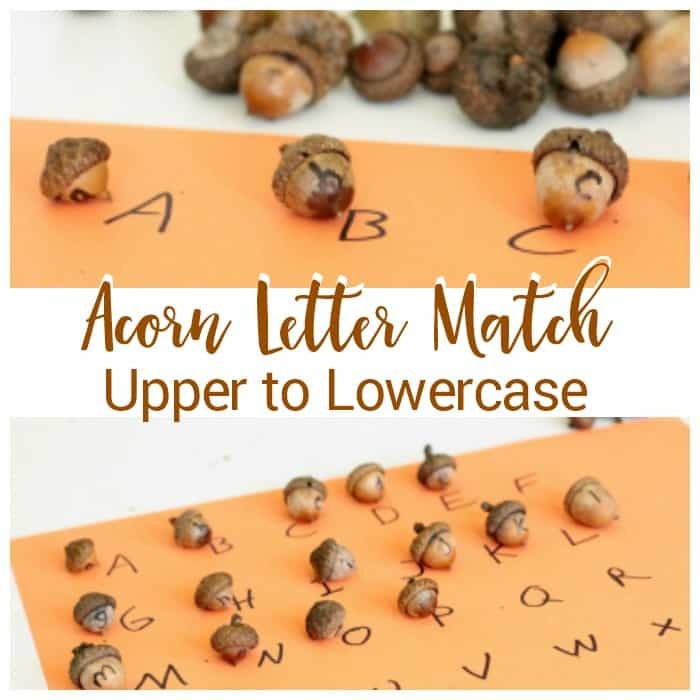 Have them search for the matching uppercase letter for the acorn that they select. 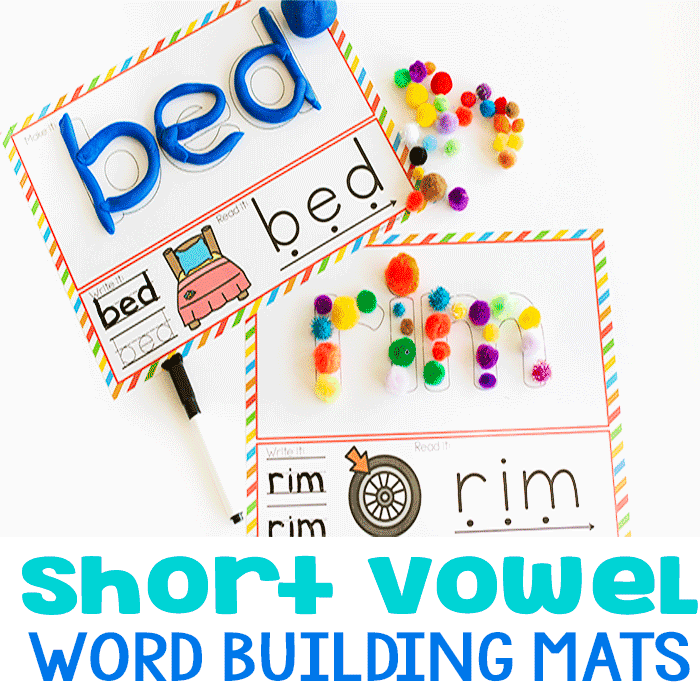 This is a fun activity for strengthening letter recognition in preschool and kindergarten kids.